Winter is here! Our Northern Virginia winters bring temperatures in the 30s, sometimes lower, and usually a big batch or two of snow. Winter in Loudoun County means plenty of time spent indoors in the company of family, some favorite electronic devices and your trusty HVAC heating system. But how do homeowners know if their home’s heater is really up to to the task? What could be wrong with your HVAC system this winter, and what can be done to prevent being left in the cold? Ignoring small issues can lead to BIG problems! 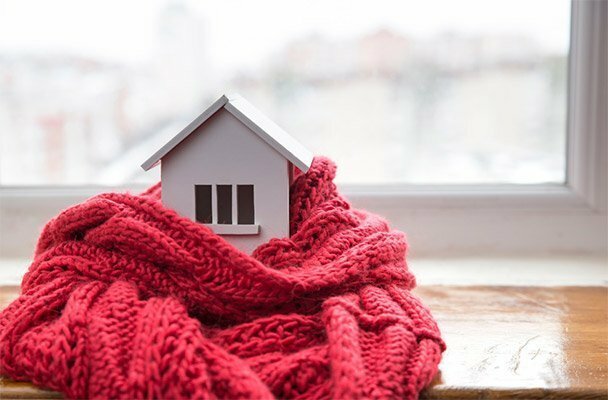 To make sure our customers are as informed as possible, we have a few tips to share about some of our most frequently seen wintertime HVAC/home-heating problems around Loudoun and Fairfax, so folks might know better whether their heater can beat the winter weather. — Issue No. 1: Frozen pipes, coils, and valves. When the outside temperature falls below the freezing point of water (32 degrees Fahrenheit at sea-level pressure), your HVAC system’s network of pipes, valves, and coils freeze too. When water can’t flow, steam radiators and other hydronic systems fail, and heating stops. Ice can expand and burst pipes. Drain pipes of all water before the first freezing night, as well as other standard winterizing tasks. — Issue No. 2: Malfunctioning or underperforming heat pump. If your home relies on an outdoor heat pump, the external apparatus sits exposed to winter’s worst elements. Heavy snow, ice, and frost can block coils and bust mechanical parts. Take advantage of the heat pump’s automatic defrosting features, or make sure frost does not accumulate on the unit. Remember to take a few minutes and visually check your unit during and after rough winter weather. — Issue No. 3: Dirty heater filters and restricted airflow. In winter, people tend to run their heating systems full-blast. Extended usage causes a buildup of dust, dirt, and debris within vents and air ducts, and on fans and motors. Keep a clean HVAC filter by changing or cleaning it monthly, and don’t forget to have the system’s ductwork professionally cleaned. — Issue No. 4: Broken ignition system and extinguished or insufficient pilot light. The pilot light is the small gas-powered flame in the center of your heating unit that essentially keeps your heater heating. If, for any reason, it goes out or weakens – due to a damaged sensor, for example – your home’s HVAC will suddenly put out far less heat. — Issue No. 5: Broken, miscalibrated or faulty thermostat. Aging electronic circuitry has been known to cause HVAC systems to put out incorrect levels of heat. Loose wiring, rusted connections, and other electrical problems should be repaired or replaced for best energy efficiency – as well as temperature certainty. — Special Bonus Pro Tip from the Life-Threatening Category: Carbon monoxide leakages. One of the many amazing benefits of modern first-world living is air-conditioning technology that literally keeps people comfy and warm against the bracing harsh chill of a Mid-Atlantic winter. 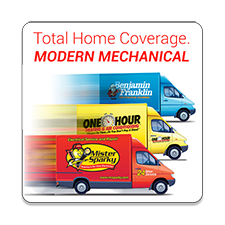 Make sure your HVAC system is up to snuff with a little homeowner care and regular checkups by our expert techs.